The Four Queens Hotel and Casino, is located at 202 Fremont Street, right in the heart of the downtown area, making it ideal for party goers. 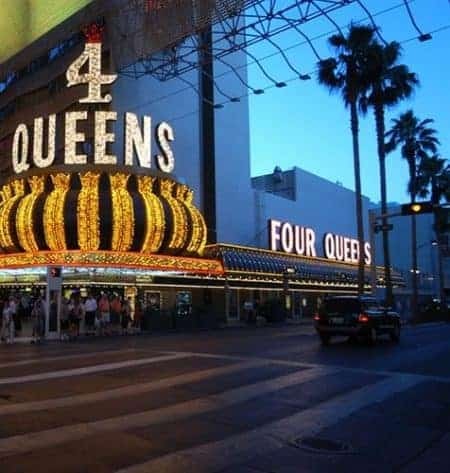 The Four Queens Hotel and Casino, is located right in the heart of the Fremont Street area, making it ideal for party goers, who want to experience all the wonders that the entertainment capital of the world has to offer. If access to Fremont Street wasn’t enough, it also provides easy access to places like the world-famous, Las Vegas Strip, (2 miles), along with a host of golf courses and business venues, which makes it the ideal spot from which to explore Las Vegas and the surrounding area. 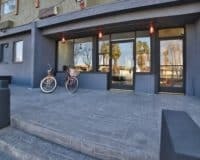 The hotel offers a plethora of amenities including a high-class casino, which boasts all the slots and table games that you would expect from a Vegas establishment. 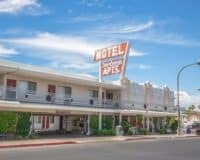 This is combined with a refreshing pool, where guests can relax during the hot Nevada summers, a restaurant offering delicious local food and a bar where you can grab a drink before hitting the town. With the added bonus that it is a resort that doesn’t charge resort fees, making it cost effective. The accommodation is modern, including air-conditioning, a flat-screen television, a safety deposit box and coffee making facilities. Along with well-equipped, clean ensuite bathrooms, which are attached to each and every room. 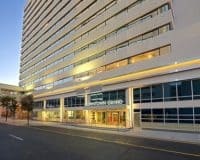 The Four Queens Hotel and Casino, is a cost-effective, luxury option for people that want to experience all the wonders that the entertainment capital of the world has to offer. This makes it a great choice for couples, business people and pretty much anyone else. 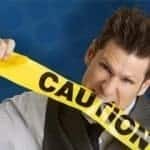 Mike Hammer Comedy Magic Show: The master of cutting wit and non-stop improvisation.